Though no one has been announced beyond Opening Day, Jack Flaherty appears to be in line to start the Cardinals' home opener April 4. 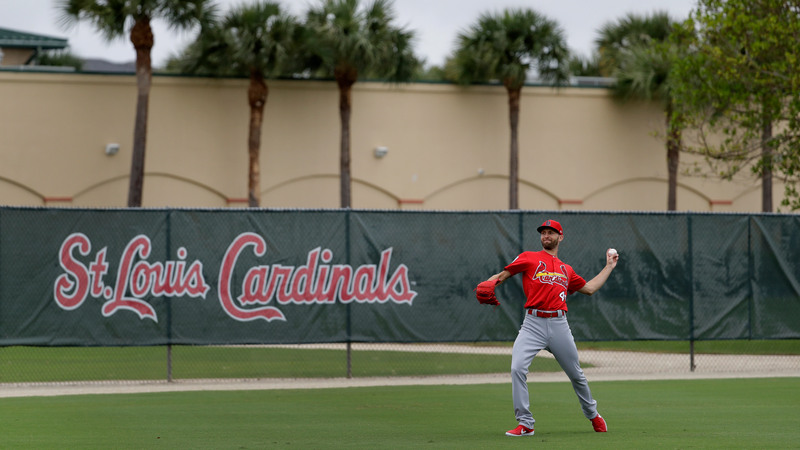 JUPITER, Fla. — Jack Flaherty has done the math, and it all adds up. The young St. Louis pitcher is in line to start the Cardinals‘ home opener. But with one Grapefruit League start remaining, Flaherty is in position to make the Cardinals’ second start of the season. And if that schedule plays out as expected, his second turn figures to be the home opener April 4 against San Diego. The right-handed Flaherty throws a mid-90s-mph fastball, a curve and a changeup, but it’s a hard-biting slider that led Flaherty to win four of his five August starts last season. He lasted at least six innings in each of those starts, never allowing more than two runs. “He’s got a wipeout pitch in that slider and he’s got a sinker he’s been using that’s been effective, too,” Shildt said. 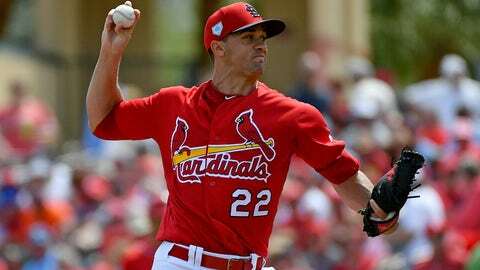 Pitching in a minor league game Monday to give the Cardinals better control of his workload, Flaherty struck out nine during six scoreless innings against the Double-A Marlins. It was the second time in three spring starts that Flaherty struck out nine, replicating his four-inning performance two outings prior against Philadelphia. Flaherty struck out seven consecutive Phillies that day. Being called “fun” by Molina elicited another Flaherty smile. Prior to Monday’s outing, Flaherty had allowed four runs on 10 hits in 13 Grapefruit League innings. He’s aiming to improve on last season’s 3.34 ERA over 151 innings, an average that took a hit as Flaherty appeared to wear down in September. “Coming away from there, getting up and down six times, pitch count up and still feeling like there’s something left in the tank — I feel like it’s a really good spot to be in,” Flaherty said. NOTES: Shildt announced that reliever Brett Cecil will begin the season on the injured list because of an ongoing arm issue. … Utility player Jedd Gyorko‘s lingering calf injury puts his Opening Day availability in jeopardy, Shildt said. … Originally expected to return Wednesday, Matt Carpenter might now be out of action until the weekend with back tightness. Shildt said he isn’t concerned about Carpenter’s Opening Day availability.